Our team member Berfu Büyüköz presented in Computational Linguistics in the Netherlands (CLIN) 29, on January 31, Thursday, at Oosterpoort, Groningen. 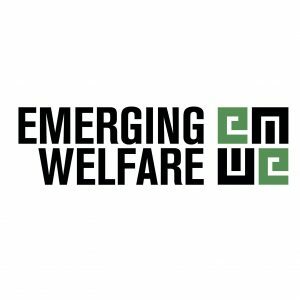 In this presentation, Berfu introduced the Emerging Welfare ERC Project (emw.ku.edu.tr). She gave brief information about project objectives and challenges, mainly focusing on the Work Package 2 – Protest Events Database using NLP and Machine Learning. 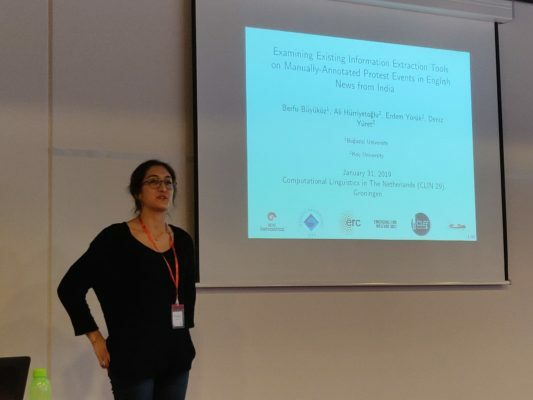 She specifically presented the findings of our NLP team on the performance and error analysis of various existing NLP tools on our Indian news data. She also invited the CLIN 29 community to our shared task, namely ProtestNews, which is going to be led by our team member Ali Hürriyetoğlu, in Conference and Labs of the Evaluation Forum (CLEF) 2019 (http://clef2018.clef-initiative.eu/).